"Here’s a book that will restore your faith in the National Trust; life members should be given a free copy. John Sales, the trust’s head of gardens for 25 years, sets out his experience of helping to turn its gardens into the world-class collection they are today. If you enjoy big gardens, you should read it. We owe this wise and unassuming, but determined man so much. It’s also on luxuriously heavy paper — I bet the trust would disapprove." 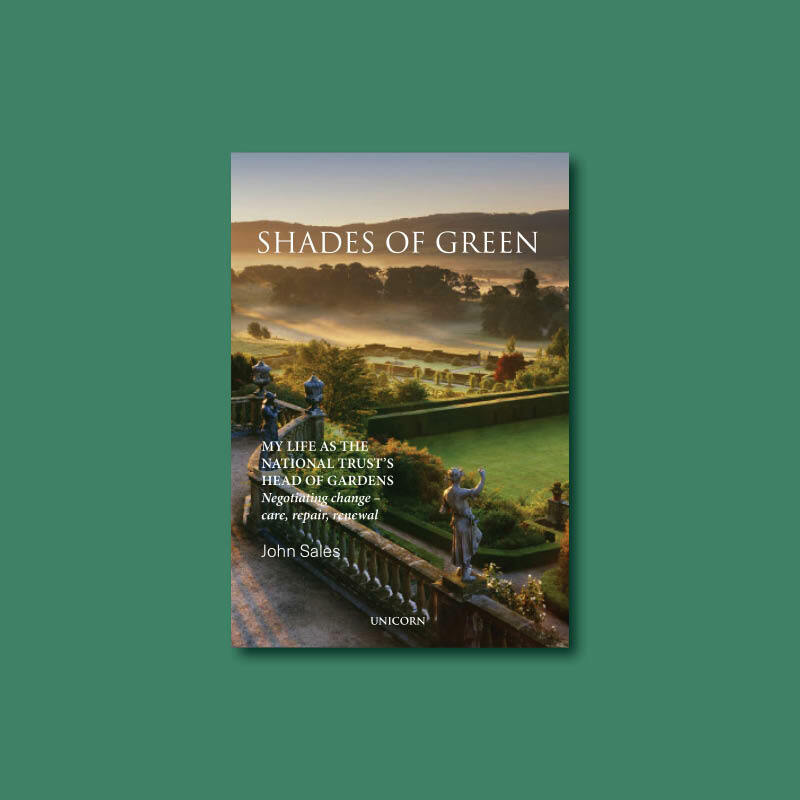 "Shades of Green is a priceless record of eccentrics long lost, and places now homogenised. At Stourhead the head gardener trundled a loaded shotgun in his wheelbarrow for moles and the academic Kenneth Woodbridge waged a classicist’s war on rhododendrons in that Virgilian landscape (Sales has a sharp elbow for “aesthetes”). His life’s work has been to show that a garden (“a process, not a product”) cannot be conserved by the same rules as a building formed in brick or stone…The modern National Trust would never dream of publishing a book as interesting as this. Every intelligent garden visitor will bin the official leaflet and wish to see familiar places through Sales’s eyes"